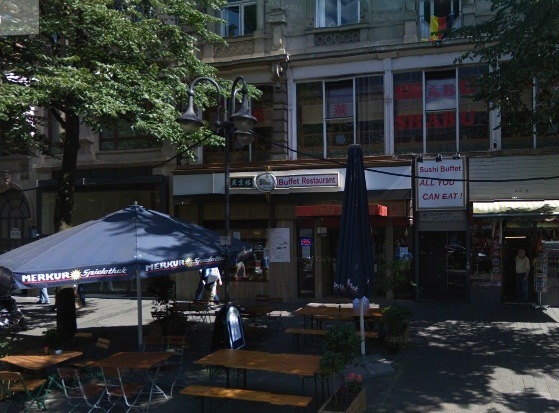 It’s wonderful to see the Google map of where the booth was stood – it’s a little surreal, seeing it in a 21st century context! I was thrilled to find it was on Google. Having the location makes it more real to me. Those booths seem to have been VERY inaccurate, Mike. Yes, the bear could talk but he was saying “I love you. too”. Looking at his outfit… I wonder if the young man is a performer… maybe a ventriloquist? 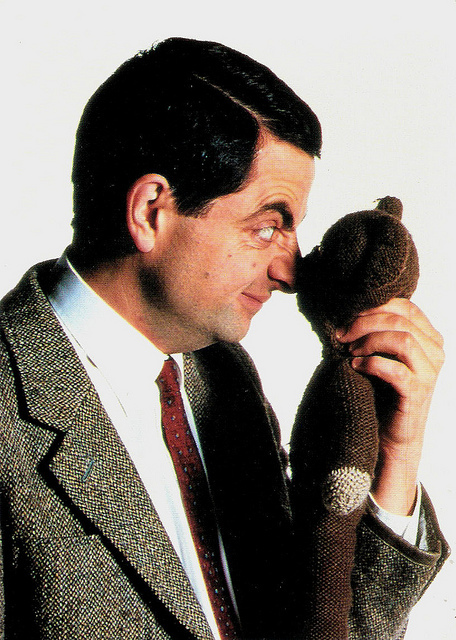 It’s a neat photo, and sure fits the Mr Bean thing… maybe Mr Bean got the idea from him. Nice investigating reporting, Katherine. Thanks Ted! I like the idea that he might have been a performer, especially that he might have been a ventriloquist! Wonderful image Katherine & thank you for the mention, it is very kind of you. Me and my teddy could be the new selfie trend!